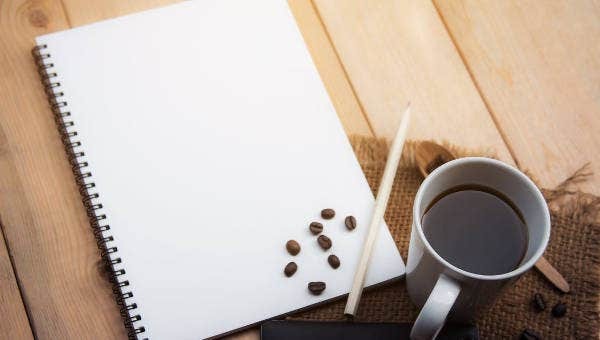 Are you interested in contributing to the success of a business? Then you should become an operations manager. They are tasked in supervising and coordinating the transactions between companies and other organizations. This is a complex role, which includes a variety of responsibilities such as supervision, budgeting, human resources, production, marketing, sales, and customer service. Operation managers are also assigned in developing budgets, maintaining inventories, implementing new equipment, finding ways to minimize expenses, and overseeing quality assurance programs. 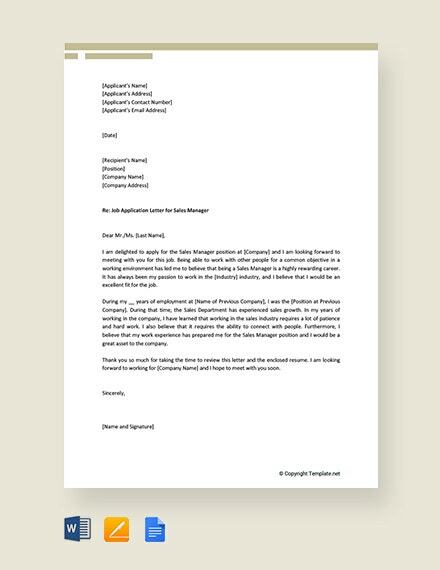 If you are looking for samples on application letters, then you don’t have to look anywhere else. 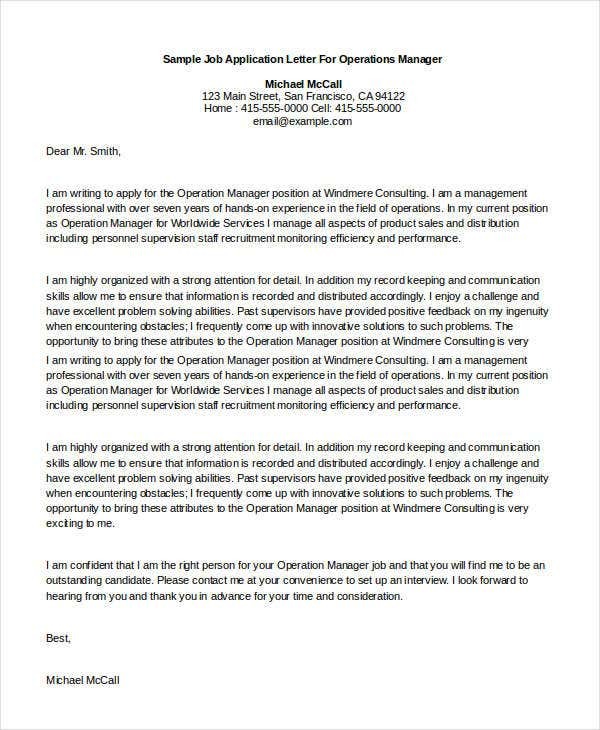 Check out our collection of Free Application Letter Templates that you can use for a wide variety, including applying as an operations manager. 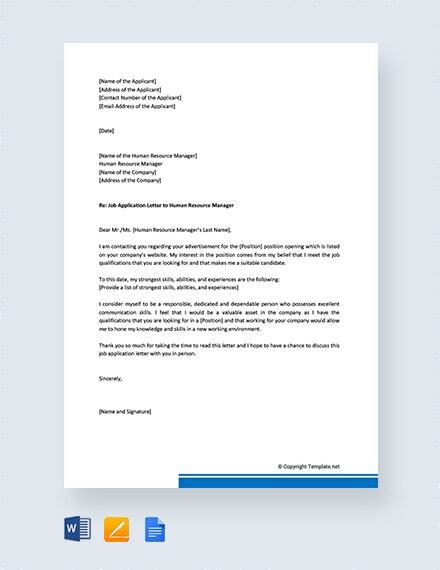 An application letter, seldom called a cover letter, is a formal document attached to supplement the details potential applicants draft on their resume to provide more information, including the applicant’s contact details, qualifications, and past work experience. 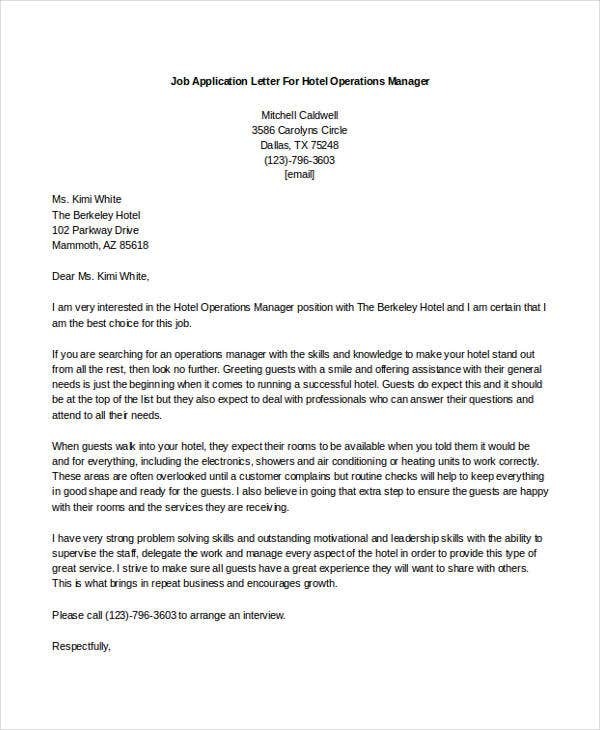 This letter serves the purpose of providing detailed information on why you are qualified for the position you are applying for. 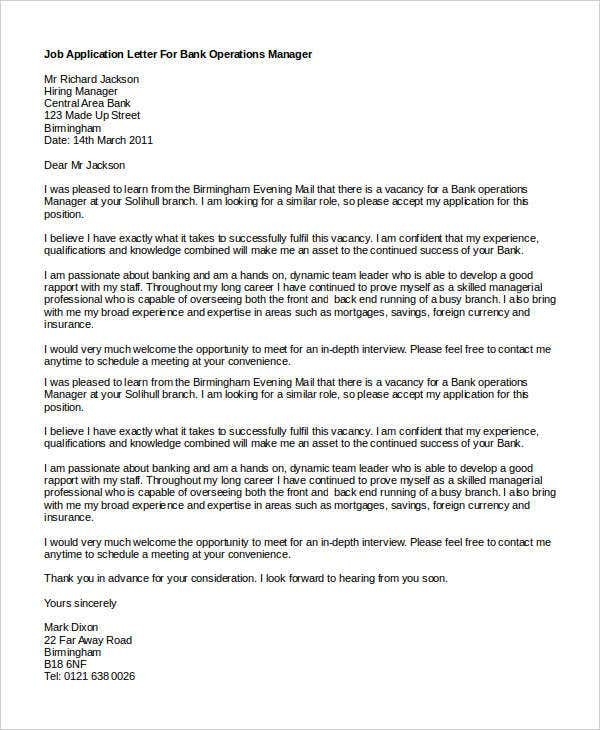 When writing an application letter, you should let the employer know the specific position you are applying for and convince them why you should be given a chance to be interviewed. 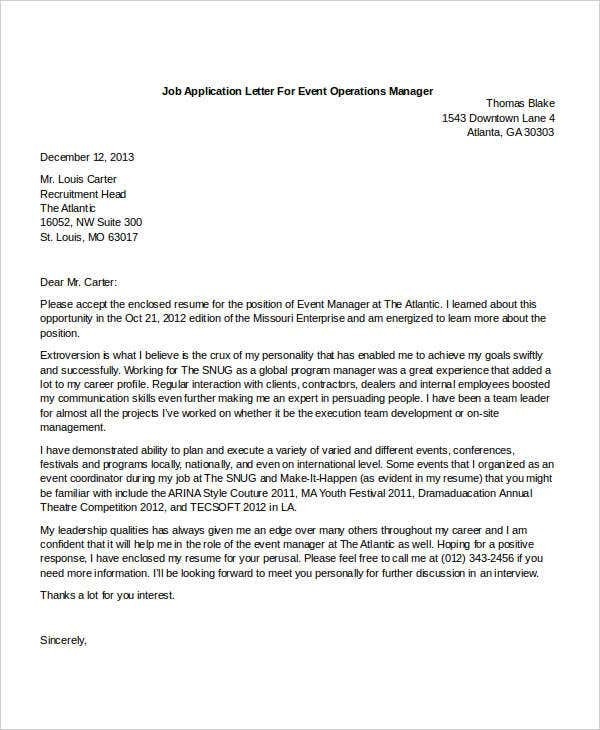 What Should You Include in Your Application Letter? 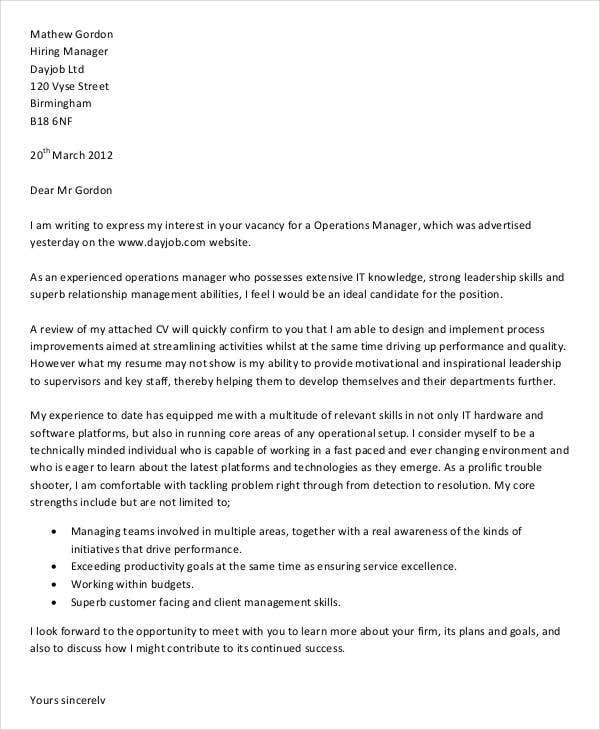 Open your application letter by mentioning the post you’re interested to be working in. 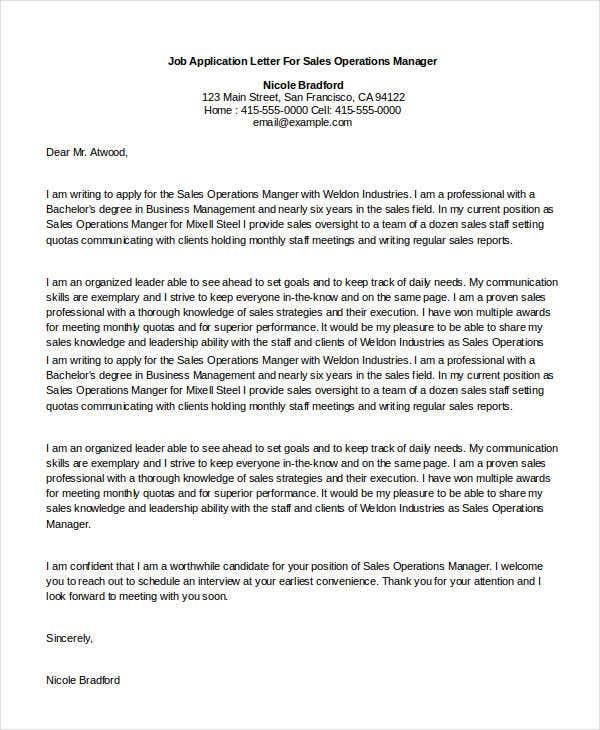 Provide details and, with no minced words, sell yourself—why the company needs you and what you can offer them—in the main body of your application letter. 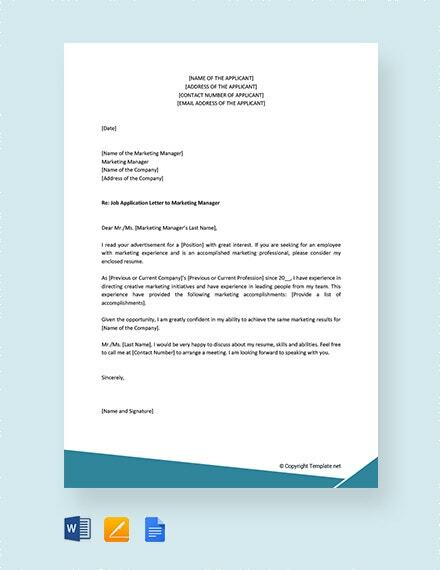 Finally, the closing should express your gratitude to the company for being considered for the specific position, and this includes the mere act of accepting and reviewing your application letter. As with everything, never use the same format for when you’re applying for multiple jobs. Customize each of your letters for each job application you’re sending and never forget to explain why you are the best-qualified candidate for that position you’re gunning for. And always take the time to match your skills and qualifications to the requirements listed in the job advert. 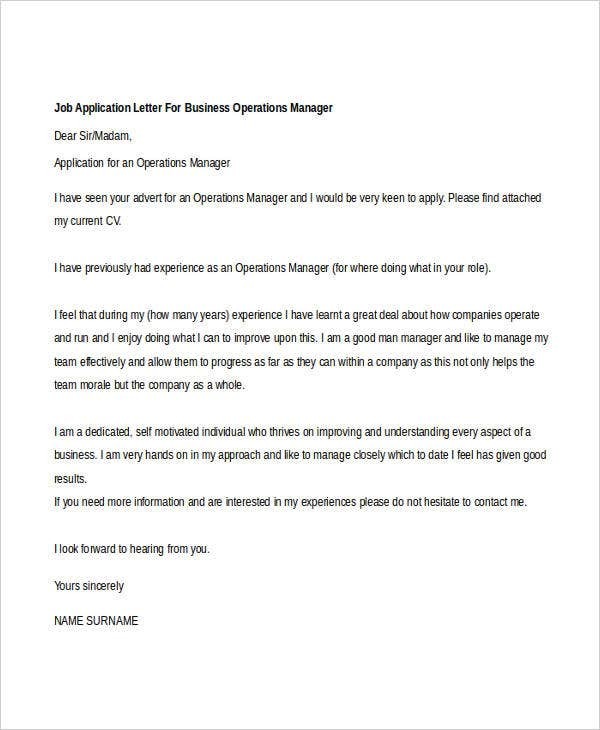 For business or company managers looking for application letter templates, check out our collection of Job Application Letters for Managers. 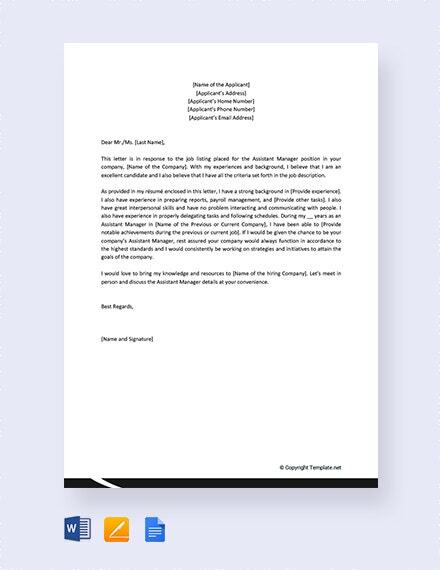 These templates were written by professionals for the purpose of saving you the hassle in writing your own application letter. They can be downloaded easily, for free, and they give you the choice to save it in either Doc, Docx, or high-resolution PDF format. 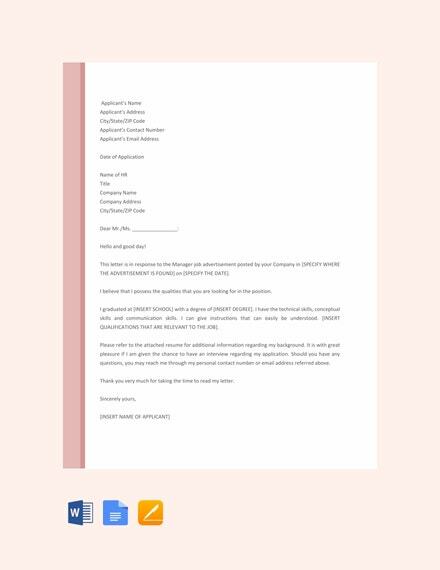 These templates are in high resolution to assure you of clear and legible printouts and are also fully editable as long as you have the required program to open and edit these files, such as Microsoft Office and a licensed version of Adobe Acrobat. 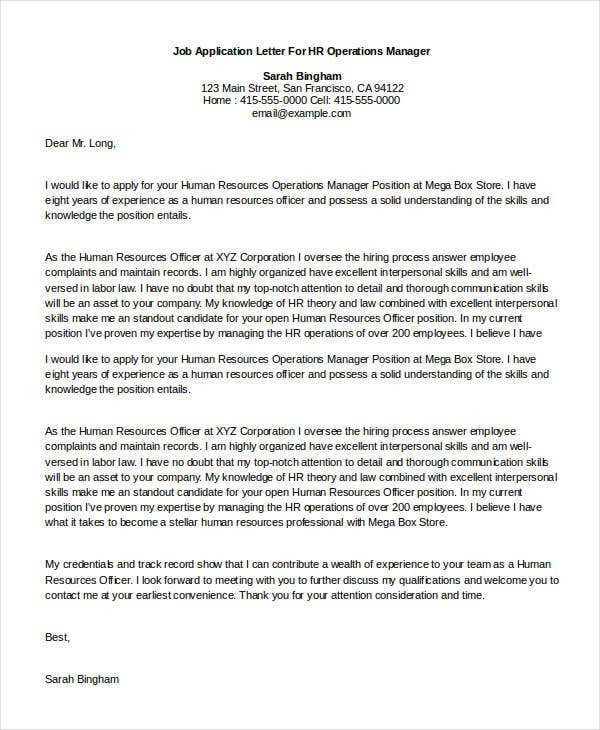 For human resource managers looking for application letter templates, also check out our collection of Job Application Letters For HR. What are you waiting for? Download our templates now!